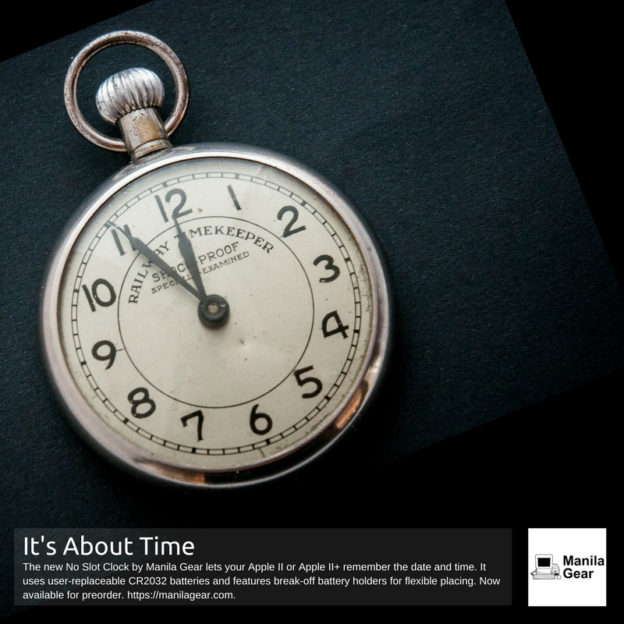 Mountain View, CA, 18 May 2017 — Manila Gear today announced the No Slot Clock for the Apple II series of computers. The No Slot Clock lets your Apple II remember the date and time. This brings the amazing functionality of the Dallas Time Chip DS1215 to the Apple ][ and the Apple ][+ computer. No more typing in the date and time every time you boot up! Batteries – The No Slot Clock uses 1 or 2 user-replaceable CR2032 batteries. It also has break-off battery holders for flexible placement. Configurable – The No Slot Clock can be configured for use on an Apple ][ or ][+, or an Apple //e or //c. 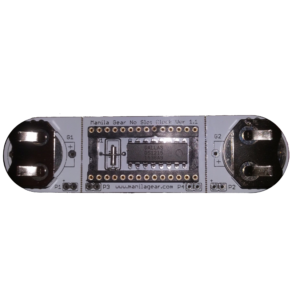 It can even be used on a slot card that has an EPROM socket. Sockets – The No Slot Clock has a machine pin socket on the top. This ensures secure and reliable connections to your EPROM. A regular IC socket is on the bottom. This preserves your motherboard or slot card IC socket. No more “socket stretch”! A modified version of the NSC Utilities disk will be available on the Manila Gear website. 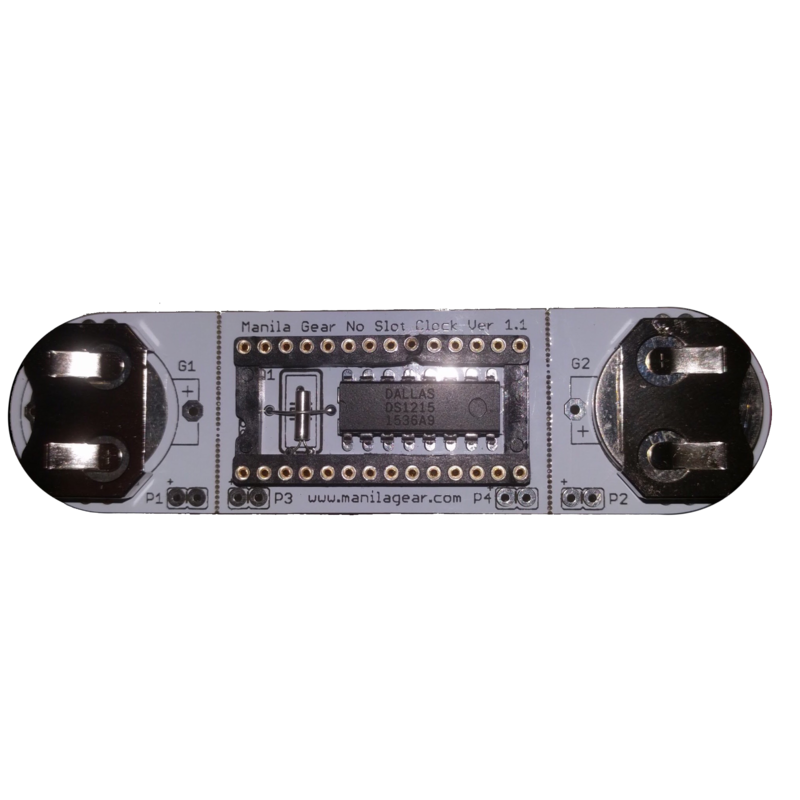 The No Slot Clock lists for only $49++ and is available for preorder at the ReActiveMicro online store at http://store.reactivemicro.com/product-category/49/apple2/ii-ii/. This entry was posted in General on May 18, 2017 by John Valdezco.